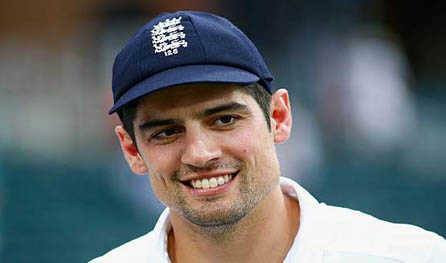 London: After retiring from international cricket in September this year, former England captain Alastair Cook has been knighted in the New Year's Honours. Cook played his last Test against India at The Oval, ending his glorious 12-year career on high with a memorable hundred in his final innings. He walked away leaving behind a legacy and a number of records to his name. To name a few, he has played the most number of Tests for his country 161 and also holds the record for being their longest reigning captain, skippering the side in 59 Tests. With 12472 runs, he is also the highest run-getter in England's Test history with the most number of centuries for his side 33. Earlier, Cook was awarded a Member of the Order of the British Empire (MBE) in 2011 and five years later with a Commander of the British Empire (CBE). He has now become the first English player since Sir Ian Botham, who was honoured 11 years ago, to receive a knighthood, an ICC report on Saturday said. Cook was among the four people associated with the sport to receive a New Year's Honour. One of England Women's all-time greats, Enid Bakewell, has received an MBE, while Alvin Kallicharran and Peter Wynne-Thomas have both been honoured with a British Empire Medal. "Alastair Cook has given so much to English cricket and I'm delighted that he has received this honour," said ECB chairman Colin Graves. "It's a fitting tribute to a man who has led with distinction on and off the pitch ever since he made his England debut." "The statistics across that time tell the story of his special ability - as do the winners' medals and Ashes trophies - but he is also someone who's been a great role model for our sport," he added. "We're very fortunate to have had Alastair in English cricket and we're very grateful for his contributions to the game. It's also fantastic news for Enid Bakewell, Peter Wynne-Thomas and Alvin Kallicharran. All three of them have contributed hugely to our great sport and we congratulate them on their honours," said Graves. Tom Harrison, the ECB CEO also congratulated the former captain, calling him "the very definition of what a sporting role model should be. ""I am absolutely thrilled that Alastair has been awarded a knighthood for his extraordinary service to cricket and to his country," said Harrison.